I had been watching recipes made with Avocados on YouTube , but did not dare to buy them. 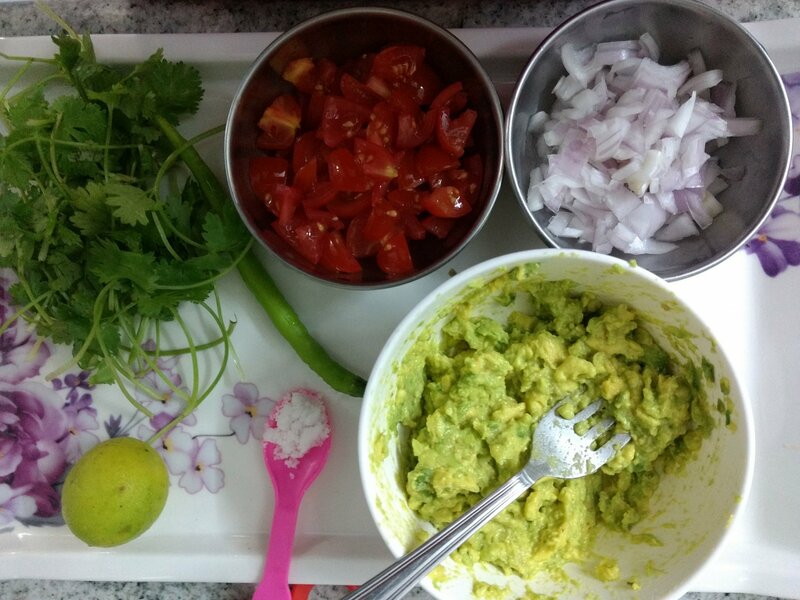 Wanted to prepare Guacamole one day. They are not a commercial crop in India. However they are being grown in a limited way in a few parts of South India and North East India. Few days ago I spotted Avocados in the Supermarket and bought one for the first time. I had read about picking a perfect Avocado , letting them ripen at home and the procedure to determine if they are ready to be eaten. The one I bought was dark green but not the almost blackish colour that I saw in the YouTube videos. I left it outside to darken. This morning I noticed it was soft when I pressed it gently and saw a few blackish spots. I had all the ingredients at home except Jalapenos. I used a green chilli instead. Scoop out the pulp of the Avocado and mash it up using a fork. Chop up the onion and 🍅 tomatoes. Chop the green chilli into fine pieces. 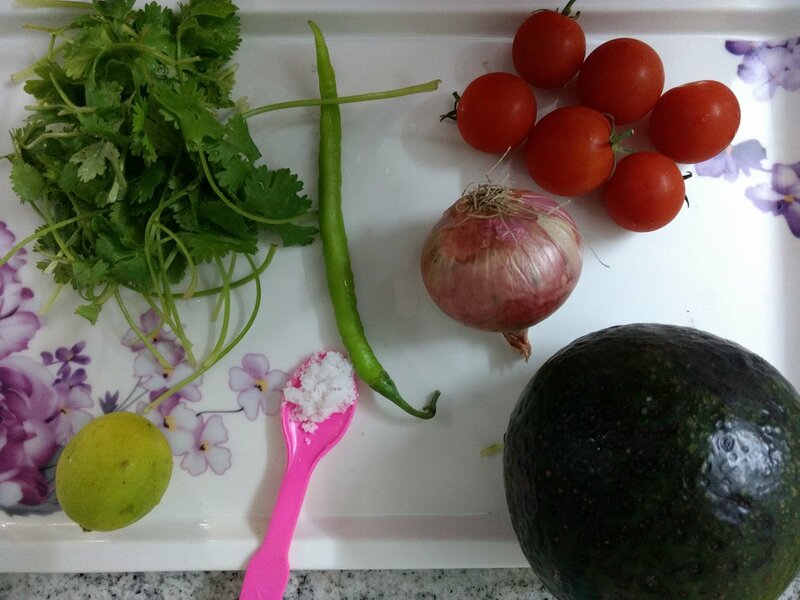 Mix all of them in a bowl and add salt ,lemon juice and coriander leaves. Guacamole dip is ready. Enjoy with Nachos. 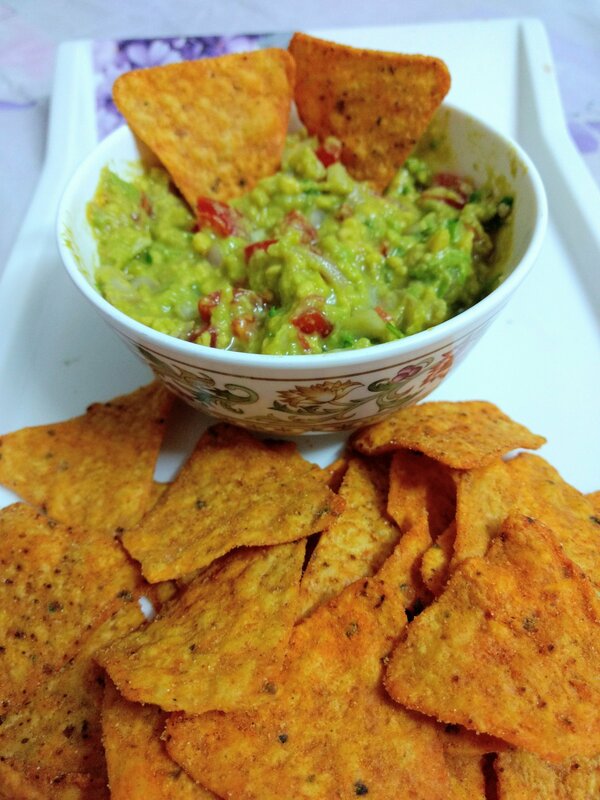 Categories: Cooking, Health, Recipes, Uncategorized, vegetables, veggies | Tags: Guacamole recipe | Permalink.